HED2VSTN RH Duct, 2%, 0-5/0-10VDC, 1800 ohm Thermistor. CE. U001-0035 Badger 310-04. 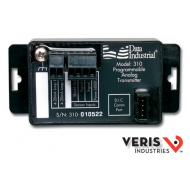 Programmable, non-BTU, converts frequency input to 4-20mA analog output, loop voltage 9-35VDC, includes DIN rail mounting clips. Must use U001-0020 programming kit. U001-0029 Badger 340N2-00. Programmable, BTU, converts frequency input to a N2 output, loop voltage 9-35VDC. Must use U001-0075 programming kit. U001-0027 Badger 340LW-00. Programmable, BTU, converts frequency input to a LONWORKS output, loop voltage 9-35VDC. Must use U001-0077 programming kit. U001-0013 Badger 310-00. 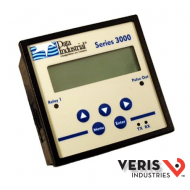 Programmable, non-BTU, converts frequency input to 4-20mA analog output, loop voltage 9-35VDC. Must use U001-0020 programming kit. U001-0094 Badger 3050-01. Local display monitor, BTU, frequency pulse output, wall mount enclosure. U001-0093 Badger 3050-00. Local display monitor, BTU, frequency pulse output, panel mount. U001-0092 Badger 3000-01. Local display monitor, non-BTU, frequency pulse output, wall mount enclosure. U001-0091 Badger 3000-00. 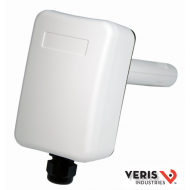 Local display monitor, non-BTU, frequency pulse output, panel mount.